EleFun Games have just released a new addition to the Fear for Sale series. This series is not for the faint of heart nor this new release, Fear for Sale: The House on Black River Collector's Edition. 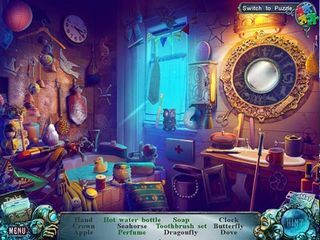 The game takes you to the heart of a dark story of an old house. The tention grows as you discover one part of the story after another. Even though the events revolve around the old house, the true evil is usually not in things but in people. You are to get onto the case that your coleague was supposed to be working on. And he was... right before he disappeared. Now you go down there to see what's going on. The house is now occupied by a lonely artist. But it has not always been like that. He used to have a daughter, who was kidnapped by a ghost, and soon thereafter his wife died. But wait that is not the whole story. This house used to belong to a person accused of sorcery and a few deaths. the house was burned by the villagers scared of the rumours. Will this house and its ocupants need to be destroyed and stopped again? The game's story unveils in a quite dramatic way. The tention grows as you discover one part of the story after another. The beautiful graphics and the fitting music and voice overs do a great job creating the perfect atmosphere for the past to meet the present and for the natural to meet the unnatural. All those media extras a re available for you - wallpaper, screensavers, concept art, soundtracks, and music. The bonus chapter challenges you with another drama. You get to know the family of the original owner a little better. The investigation is real for you as a player too since you get to look at and interact with a lot of things in this game. First of all, it is fun that different little things and creatures are responsive to your touch. Secondly, there is a ton of invenotry to pick up and work with. Some are quite complex. Don't forget about all the Collectibles (25) and Beyond Objects (34) among all else. Achievements (9) earn you points to show off your journalistic skills. 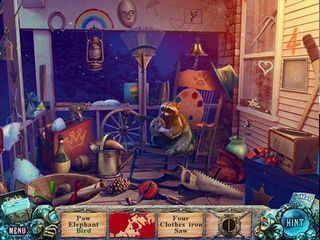 The hidden object scenes offer a variety of searches, some of which are multi-step with puzzles in them. There is a good variety of them, but if you want to skip some of them or all together you can switch to a jigsaw puzzle available instead. The puzzles are all fun and different too. They seem to be a bit easy, but that always depends on you skills. 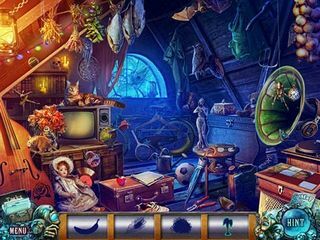 All in all this hidden object puzzle adventure game is great and is probabaly one of the best in the series. This is Fear for Sale: The House on Black River review. Download this game here.